Welcome to Anderson Family Chiropractic, your Charlotte Chiropractic Clinic of Choice for the Past 12 Years. If you are looking for first class Charlotte Chiropractic service, you've come to the right place. We aim to be friendly and approachable. Our Charlotte Chiropractor is committed to providing pain relief so that you can have a higher quality of life. Stop Treating Your Symptoms. Start Correcting the Cause. Darcey Walraven Ladner, D.C., is a chiropractor located in Charlotte, NC. Techniques: • Flexion-Distraction Specialties: • Full Spine • Extremities • Family Practice Take the next step and contact Dr. Darcey Walraven Ladner, D.C., for a consultation in Charlotte, NC or to get more information. Maureen E Chandler, D.C., is a chiropractor located in Charlotte, NC. Techniques: • Diversified • Thompson • Sacro Occipital Technique • Toggle Recoil • Activator Methods • Cox • Acupuncture Take the next step and contact Dr. Maureen E Chandler, D.C., for a consultation in Charlotte, NC or to get more information. Eric A Cerwin, D.C., is a chiropractor located in Charlotte, NC. Techniques: • Diversified Take the next step and contact Dr. Eric A Cerwin, D.C., for a consultation in Charlotte, NC or to get more information. Michelle Heppner, D.C., is a chiropractor located in Charlottesville, VA. Techniques: • Activator Methods • Nimmo • Diversified • Thompson • Flexion-Distraction Take the next step and contact Dr. Michelle Heppner, D.C., for a consultation in Charlottesville, VA or to get more information. Jason Usher, D.C., is a chiropractor located in Charlotte, NC. Techniques: • Chiropractic Biophysics • Neuro Muscular Technique • Traction • Spinal Biophysics Take the next step and contact Dr. Jason Usher, D.C., for a consultation in Charlotte, NC or to get more information. John L Ashcraft Jr, D.C.
John L Ashcraft Jr, D.C., is a chiropractor located in Charlotte, NC. Techniques: • Diversified • Manual Adjusting • Thompson • Pierce • Travell Soft Tissue • Neuro Muscular Technique Take the next step and contact Dr. John L Ashcraft Jr, D.C., for a consultation in Charlotte, NC or to get more information. Charles Francis, D.C., is a chiropractor located in Charlotte, NC. Take the next step and contact Dr. Charles Francis, D.C., for a consultation in Charlotte, NC or to get more information. Paul C. Wells, D.C., is a chiropractor located in Charlotte, NC. Techniques: • Diversified • Activator Methods • Thompson • Gonstead • Cox Take the next step and contact Dr. Paul C. Wells, D.C., for a consultation in Charlotte, NC or to get more information. Michael Duffy, D.C., is a chiropractor located in Charlotte, NC. Techniques: • Active Release Technique • Biomechanics • Diversified • graston • class IV laser Take the next step and contact Dr. Michael Duffy, D.C., for a consultation in Charlotte, NC or to get more information. Steven S English, D.C., is a chiropractor located in Charlotte, NC. Take the next step and contact Dr. Steven S English, D.C., for a consultation in Charlotte, NC or to get more information. Stacey Stesanski, D.C., is a chiropractor located in Charlotte, NC. Take the next step and contact Dr. Stacey Stesanski, D.C., for a consultation in Charlotte, NC or to get more information. William Crawford, D.C., is a chiropractor located in Charlotte, NC. Techniques: • Diversified • Gonstead • Thompson Take the next step and contact Dr. William Crawford, D.C., for a consultation in Charlotte, NC or to get more information. Paul Stangil, D.C., is a chiropractor located in Charlottesville, VA. Techniques: • Applied Kinesiology • Diversified • Grostic Take the next step and contact Dr. Paul Stangil, D.C., for a consultation in Charlottesville, VA or to get more information. Ralph Burris, D.C., is a chiropractor located in Charlotte, NC. Techniques: • Diversified • Activator Methods Take the next step and contact Dr. Ralph Burris, D.C., for a consultation in Charlotte, NC or to get more information. Dominick A Tarantino, D.C., is a chiropractor located in Charlotte, NC. Techniques: • Diversified • Activator Methods Take the next step and contact Dr. Dominick A Tarantino, D.C., for a consultation in Charlotte, NC or to get more information. Barbara Kasler, D.C., is a chiropractor located in Charlotte, NC. Take the next step and contact Dr. Barbara Kasler, D.C., for a consultation in Charlotte, NC or to get more information. R.B. Overcash, D.C., is a chiropractor located in Charlotte, NC. Techniques: • Pro-Adjuster Technology • Diversified • Thompson • Activator Methods • Trigger Point Therapy • Gonstead Take the next step and contact Dr. R.B. Overcash, D.C., for a consultation in Charlotte, NC or to get more information. J J Priester, D.C., is a chiropractor located in Charlotte, NC. Techniques: • Diversified Take the next step and contact Dr. J J Priester, D.C., for a consultation in Charlotte, NC or to get more information. Shauna H Christensen, D.C., is a chiropractor located in Charlotte, NC. Take the next step and contact Dr. Shauna H Christensen, D.C., for a consultation in Charlotte, NC or to get more information. Steven C Mcareavy, D.C., is a chiropractor located in Charlotte, NC. Take the next step and contact Dr. Steven C Mcareavy, D.C., for a consultation in Charlotte, NC or to get more information. Jason Permenter, D.C., is a chiropractor located in Charlotte, NC. Take the next step and contact Dr. Jason Permenter, D.C., for a consultation in Charlotte, NC or to get more information. Matthew Gregory, D.C., is a chiropractor located in Charlotte, NC. Techniques: • Diversified • Palmer Package • Thompson • Pierce • Chiropractic Biophysics • Pettibon • Pro-Adjuster Take the next step and contact Dr. Matthew Gregory, D.C., for a consultation in Charlotte, NC or to get more information. Peter Capizzi MD, D.C., is a chiropractor located in Charlotte, NC. Techniques: • Sweat Take the next step and contact Dr. Peter Capizzi MD, D.C., for a consultation in Charlotte, NC or to get more information. Kenneth R Watson, D.C., is a chiropractor located in Charlotte, NC. Techniques: • Upper Cervical Take the next step and contact Dr. Kenneth R Watson, D.C., for a consultation in Charlotte, NC or to get more information. Steven I Cohen, D.C., is a chiropractor located in Charlotte, NC. Take the next step and contact Dr. Steven I Cohen, D.C., for a consultation in Charlotte, NC or to get more information. Toby Weig, D.C., is a chiropractor located in Charlotte, NC. Take the next step and contact Dr. Toby Weig, D.C., for a consultation in Charlotte, NC or to get more information. David Greenberg, D.C., is a chiropractor located in Charlotte, NC. Take the next step and contact Dr. David Greenberg, D.C., for a consultation in Charlotte, NC or to get more information. Daniel Bowker, D.C., is a chiropractor located in Charlotte, NC. Take the next step and contact Dr. Daniel Bowker, D.C., for a consultation in Charlotte, NC or to get more information. Marcie De More, D.C., is a chiropractor located in Charlotte, NC. Take the next step and contact Dr. Marcie De More, D.C., for a consultation in Charlotte, NC or to get more information. Kenneth Curtis, D.C., is a chiropractor located in Charlotte, NC. Take the next step and contact Dr. Kenneth Curtis, D.C., for a consultation in Charlotte, NC or to get more information. Dean O'Hare, D.C., is a chiropractor located in Charlotte, NC. Techniques: • Gonstead • Diversified Take the next step and contact Dr. Dean O'Hare, D.C., for a consultation in Charlotte, NC or to get more information. John J Kuebler, D.C., is a chiropractor located in Charlotte, NC. Techniques: • Gonstead Take the next step and contact Dr. John J Kuebler, D.C., for a consultation in Charlotte, NC or to get more information. H E Pete Hunt, D.C.
H E Pete Hunt, D.C., is a chiropractor located in Charlotte, NC. Techniques: • Palmer Package • Gonstead • Diversified • Chiropractic Biophysics • Activator Methods Take the next step and contact Dr. H E Pete Hunt, D.C., for a consultation in Charlotte, NC or to get more information. Natalie G Randazzo, D.C., is a chiropractor located in Charlotte, NC. Techniques: • Activator Methods • Diversified • Manual Adjusting • Sacro Occipital Technique • Traction • Trigger Point Therapy Take the next step and contact Dr. Natalie G Randazzo, D.C., for a consultation in Charlotte, NC or to get more information. D Matt Innis, D.C., is a chiropractor located in Charlotte, NC. Take the next step and contact Dr. D Matt Innis, D.C., for a consultation in Charlotte, NC or to get more information. 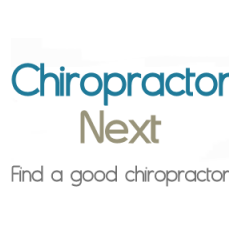 Ray T Drury, D.C., is a chiropractor located in Charlotte, NC. Take the next step and contact Dr. Ray T Drury, D.C., for a consultation in Charlotte, NC or to get more information. Charles R Mays, D.C., is a chiropractor located in Charlotte, NC. Take the next step and contact Dr. Charles R Mays, D.C., for a consultation in Charlotte, NC or to get more information. Lawrence Kaplan, D.C., is a chiropractor located in Charlotte, NC. Take the next step and contact Dr. Lawrence Kaplan, D.C., for a consultation in Charlotte, NC or to get more information. Alan Tebby, D.C., is a chiropractor located in Charlotte, NC. Techniques: • Activator Methods • Cox • Diversified • Gonstead • Palmer Package Take the next step and contact Dr. Alan Tebby, D.C., for a consultation in Charlotte, NC or to get more information. Matthew Hargreaves, D.C., is a chiropractor located in Charlotte, NC. Techniques: • Active Release Technique • Diversified • Flexion-Distraction • Graston Technique • Fascial Manipulation Take the next step and contact Dr. Matthew Hargreaves, D.C., for a consultation in Charlotte, NC or to get more information.